Join a national-level coaching staff for a competitive weekend of volleyball. 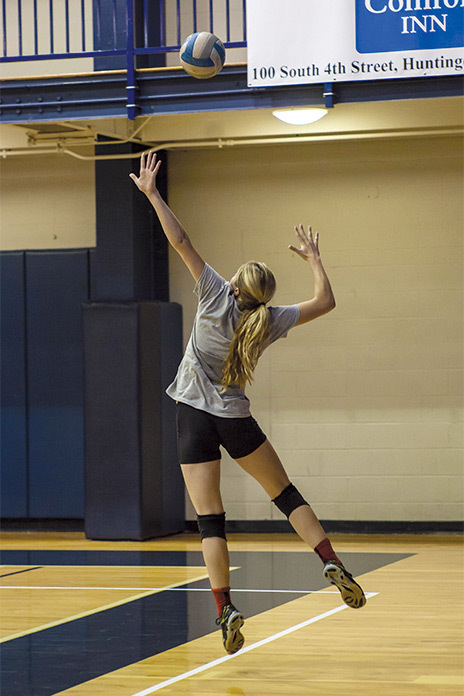 The high school team camp helps teams improve their play with competitive matches. The largest part of the camp is devoted to tournament play, with a session on individual training and a Juniata team demo. The coaching clinic portion discusses individual training of skills, mental toughness training, and team training concepts. The weekend camp runs from 1:00 p.m. on Friday (with check-ins from 10:00-11:30 a.m.) through 5:00 p.m. on Sunday. Coaches attend the camp and clinic at no charge (one coach per team). Camp is currently full! Please call 814-641-3606 or email events@juniata.edu to be placed on a waitlist.